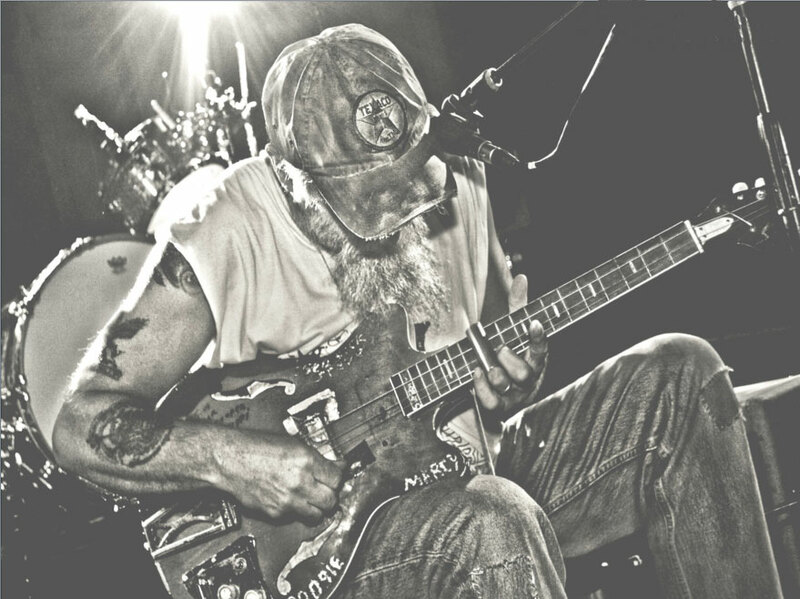 Seasick Steve is a one-of-a-kind 21st century bluesman that has won over fans across the UK in the past five or six years with his unique style, sound and back story. One thing that you get from Steve is authenticity in his music and persona, something that in the modern music age is refreshing and endearing. Steve was already well known when we began working on his record ‘You Can’t Teach An Old Dog New Tricks’. He also had a huge amount of online coverage at the time so it was requested that we were incredibly selective and chose the bare minimum with the most impact. Although we were selective, we really wanted to do a number of acoustic sessions and interviews with Steve as he is such a natural and engaging performer and we knew that there was a fan demand for this. With some nurturing and gentle persuasion Steve and the team quickly gained confidence in our ideas and online opportunities and we were able to fill a diary of fantastic promo! Over the next few pages you will see some of the sessions, creative ideas and interviews we arranged including The Guardian, Shazam, The Telegraph, All Saints and lots more. The online publicity in this campaign was instrumental to its success and the album was awarded Gold Certification in just two months. 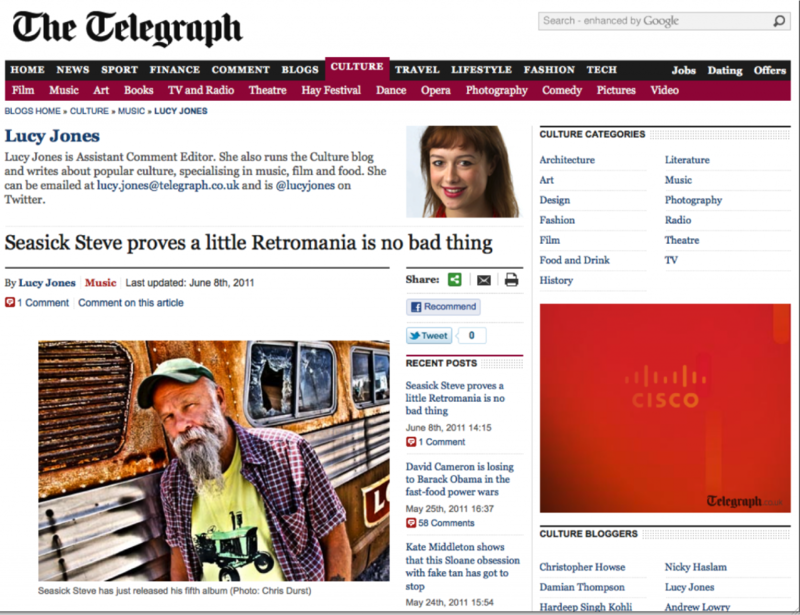 Seasick Steve performed a show for charity Streets Of London which was filmed by Mativision’s exclusive 360-degree live immersion video technology – this puts the user in the middle of the action like never before and fans were able to see the performance from any angle they wished. 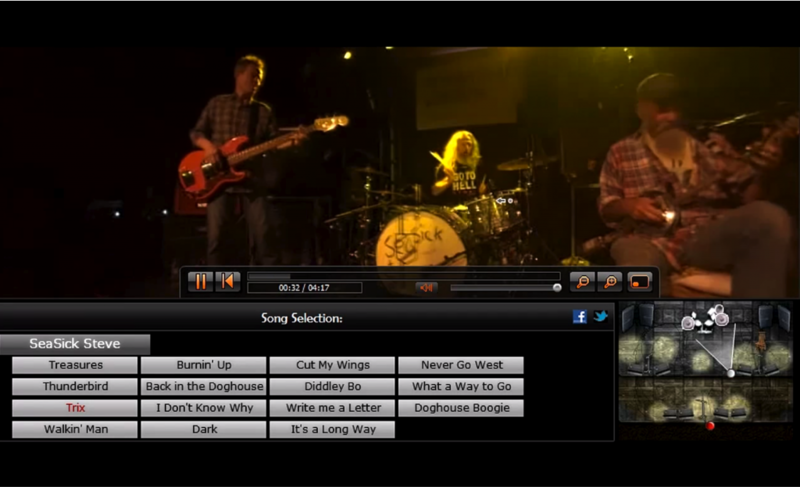 A way to re-live the show track by track interactively. 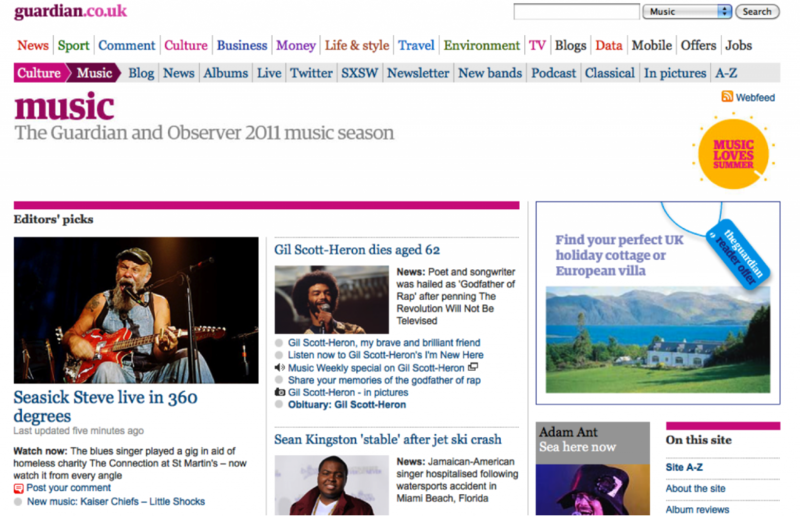 We arranged to partner with The Guardian to exclusively promote this, they featured it on the Main Homepage, Culture Homepage, Music & Society (Homelessness) Homepage as well as the blog and social networks. 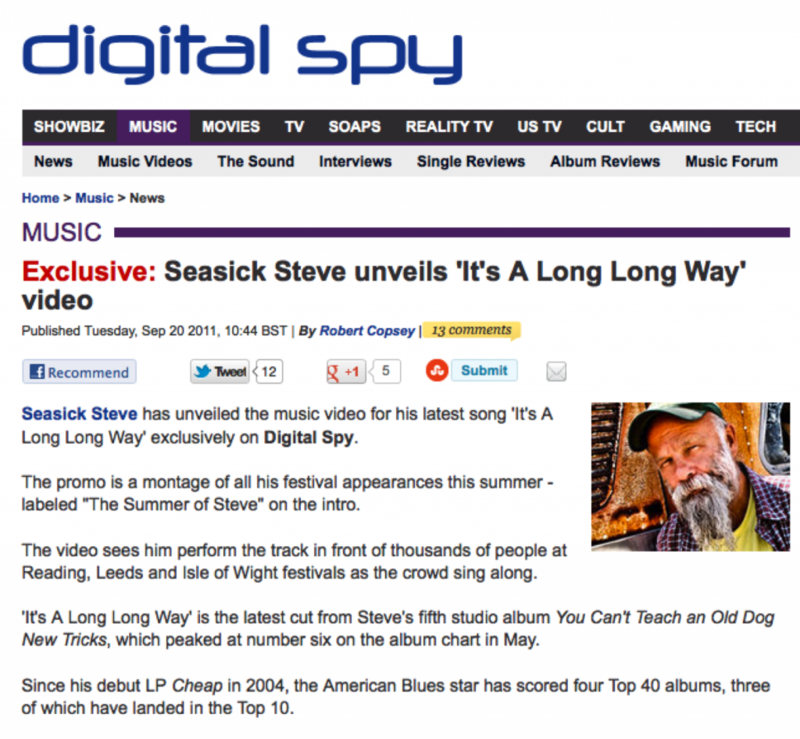 Seasick Steve’s album ‘You Can’t Teach An Old Dog New Tricks’ features a dog called Twm who was abandoned on a motorway and rescued by a pound. Because of Twm’s story, we thought it made sense to approach Battersea Dogs & Cats Home to do a competition. 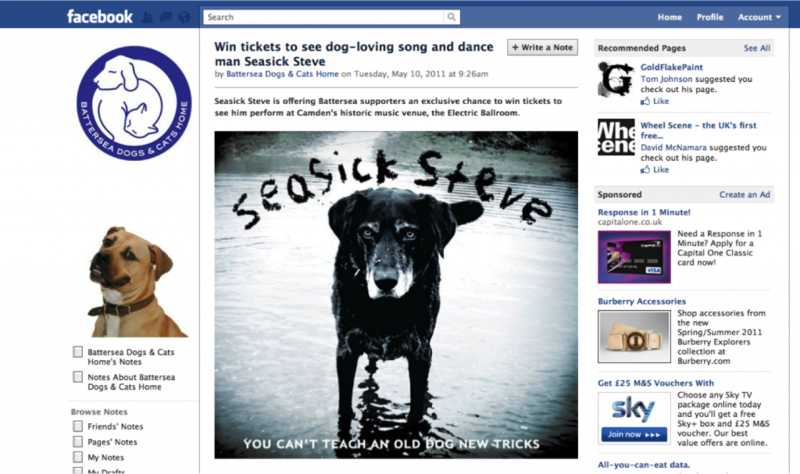 This was the first promotion of its kind for Battersea, they ran a competition on their social networks for tickets to a Seasick Steve and signed albums. This attracted over 1,000 entries. 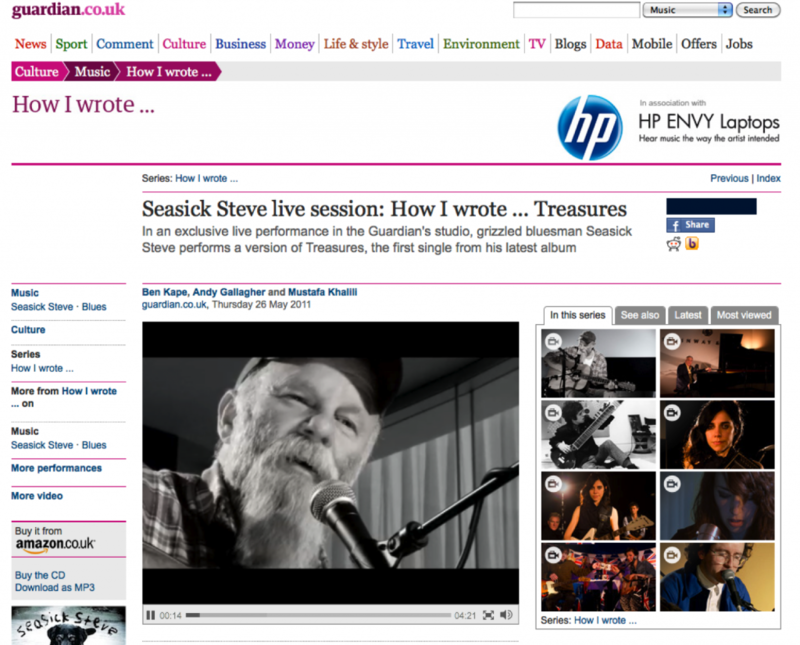 We secured some fantastic sessions for Seasick Steve including The Guardian, Shazam and News Of The World. We even persuaded him to do a session for All Saints, cool fashion brand, to reach a new, younger audience. We secured some great interviews and exclusives for Steve with The Telegraph, The Quietus, Digital Spy, Clash Music, The Arts Desk and more. 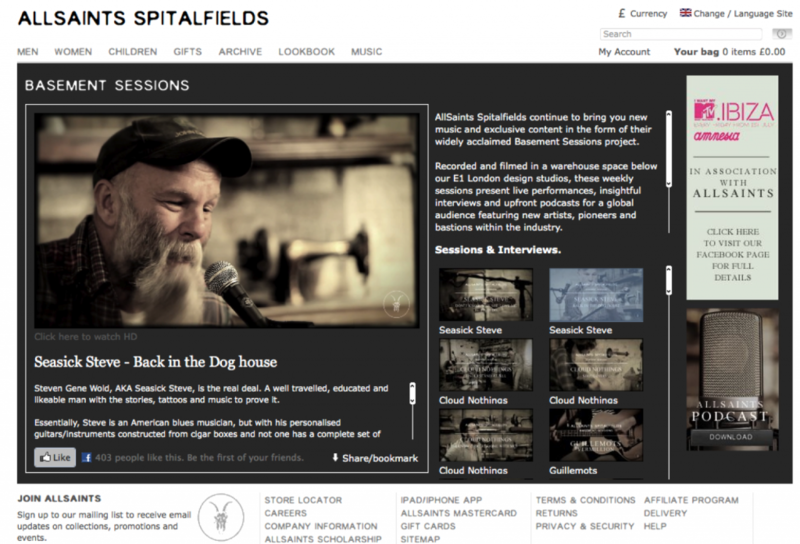 Seasick Steve’s album ‘You Can’t Teach An Old Dog New Tricks’ reached Number 6 in the UK Album Charts and was certified Gold in two months; Charmfactory were an integral part of the success of the record.